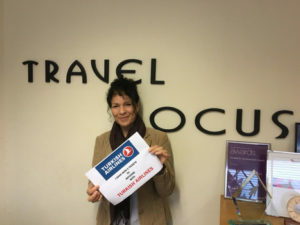 Helen O’Flaherty from World Travel Centre and Joanna Gomez from Travel Focus are the winners of tickets to see the Boyzone Thank You & Goodnight The Farewell Tour 2019. 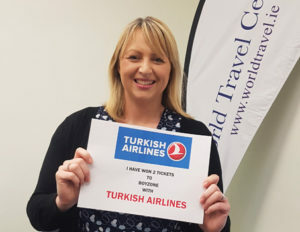 Turkish Airlines, sponsors of Dublin’s 3Arena, ran the staff incentive for any agent issuing a ticket with the airline from December 11 until January 18. The departure period for tickets issued is December 20 till June 1 next. Both Helen and Joanna will be at the concert on Thursday, January 24, with access to the VIP lounge in the 3Arena to see the Irish band’s last-ever performance which follows one other gig, in Belfast.